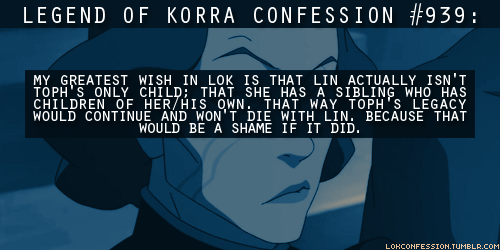 LOK Confessions. . Wallpaper and background images in the 《降世神通:科拉传奇》 club tagged: the legend of korra confessions. team 阿凡达 on the roads!!! !